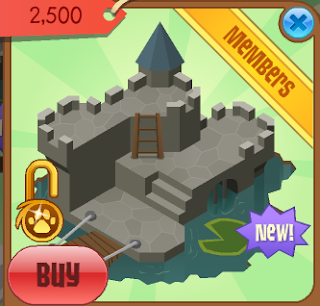 The Daily Gem Bonus: Pet Castle. Hey Jammers! There's a new Pet Castle in epic wonders. Poor me. I only have 1 gem. Well, Nobody has gotten the correct answers to the question yet, so I'm going to award the prize to the closest answers. Cutiepanda01 next time you log on please meet me in my den. Until then I will be thinking of a brand new type of contest! This one will be FUN! Please stay tuned for some shaman fun! I have a story. Animal Jam Adventures: Adventures in the Sky. "I hear phantoms plan to take over Jamaa!" said a bunny named Miss Prettyflower, who was right in front of her, to a wolf named Juniper Shiverwolf. "I think that they have been trying for years," replied Juniper. I doubt she would have the nerve to try... especially if it was a dangerous escape. thought Mythical. about this?" Unfortanutly, she whispered it a bit to loudly. "Who is your sister!" boomed Miranda, imediantly zapping back on her costume. she lay down. Sleep was neccasary if she was ever going to escape. As the phantoms talked about how easily Dancing fainted, Mythical drifted to sleep, Dancing aroused, and went to sleep. when they say Juniper and Little. "Hi!" said Dancing, for she knew Juniper. "Nomnom." replied Juniper. "Where are we?" asked Little. "That even I do not know, sis." said Dancing. "As if you know everything..."
said Little. "Moo." replied Dancing. Just then, a great, big, gray bird flew by. "Mira!" said Dancing, Mythical, Juniper, and Little in unison. us here and there was a phantom named Miranda who was pretending to be you and it turned out all she wanted us to be was her servants." said Mythical. "Okay... Do you wish to return back to Jamaa?" asked Mira.